Online registration is now closed. 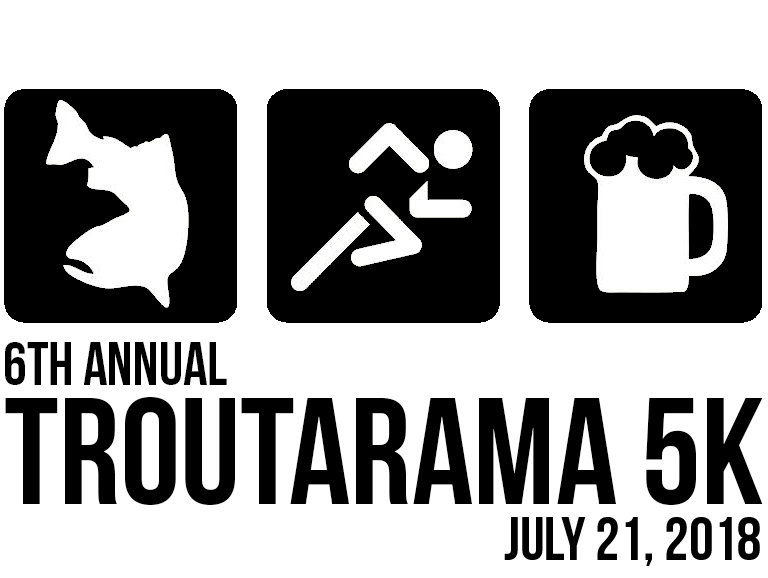 You may register the morning of the event on-site or complete a printable registration form by visiting www.troutarama.com/5k. Please call 231-745-4688 with any questions. The Troutarama 5K was created in 2013 as an additional event for visitors to participate in and to also assist in raising funds for the Troutarama Kids Fishing derby program and St. Ann's Senior Center. This race is timed. All pre-registered participants are guaranteed a t-shirt & gift bag. Many age brackets for awards. Cost: $25/person or $20/person for groups of 4 or more. Online registration will close July 18, 2018 but you can still register until the morning of the race. In consideration of my participation in this event, I for myself, my heirs, executors, and administrators, waive all rights and claims for damages I may have against the Troutarama 5K, Baldwin Troutarama Inc., the sponsors of this event, their agents, representatives, successors and assignees for any and all injuries suffered by me at said event, or which may arise out of my traveling to, participating in, and returning from this event. I further state that I am of proper physical condition to compete in this event.